In our Dalton facility, Pierce Machine Company has more than 20,000 square feet dedicated to the manufacture of precision machined parts and custom-built machinery, as well as a 4,000-square-foot fabricating area. We have three cranes at our Dalton facility, with 2-, 3- and 10-ton capacities. 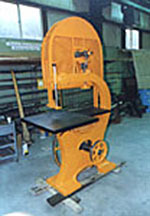 Pierce has a broad range of machining capabilities. In cylindrical work, we have engine lathes that range from small bench lathes to our largest models that can swing workpieces 42 inches in diameter and 26 feet long. Rollmaking for the paper industry is one of our specialties, and we have more than 16 engine lathes suited to the task. We have four Hurco brand CNC machining centers and one CNC turning center to accommodate our custom and prototype work. We offer Blanchard grinding to 42-inch diameter, surface grinding, dynamic roll balancing, milling, drilling, boring and sawing of all size workpieces. We have extensive fabricating capabilities for machinery framework, motor and pump bases, new machine sole plates and machine rebuilds. We cooperatively work with foundries, forging houses and material service centers to ensure quality materials for our projects. Additionally, we can offer services not directly available in-house, such as water jet cutting, plasma, EDM wire & electrode, stamping, chrome plating, rubber covering, millwrighting, engineering, and turnkey project management. Our pickup truck and large, 16-foot International rack body truck can accommodate our customers' delivery requirements throughout New England. We are continuously upgrading our equipment and integrating new technologies in keeping with our mission to provide the best quality services at fair prices. For a complete list of our equipment, click here.